Sony, EMI, and Universal Music have bumped up the release dates for their titles originally slated for a June 22nd release. These titles will now street on June 21st. 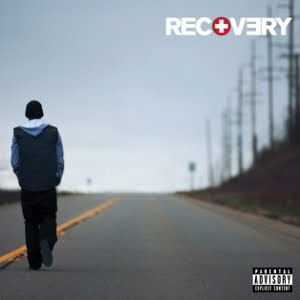 Among the titles hitting the shelves on this date is Eminem’s follow up to last year’s Relapse—the highly anticipated Recovery (UMM394527C for Parental Advisory/UMM394510C for Edited). Demand for this title has been through the roof, so an early release date comes as good news to fans and libraries alike. Eminem will share the spotlight on June 21st with Miley Cyrus’s new album Can’t Be Tamed (UMM145446C). Critics claim that Miley displays a new maturity on this, her second full-length release, so eager listeners will surely be anxious to get their hands on this title. Also scheduled for release on the 21st are Macy Gray’s first album effort since 2007, The Sellout (UMM320093C), Ozzy Osbourne’s Scream (CMJ611326C), and The Roots’ oft-delayed How I Got Over (UMM094601C for Parental Advisory/UMM094632C for Edited). If you have already received your copies of any of these releases, you can display them starting on Monday, June 21, 2010 instead of waiting until Tuesday. Please post any questions you have here as comments, or call Customer Service at 1.800.875.2785.